Fall / winter 2012... first look! Over the weekend Omaha Fashion Week held a rack check for designers at Magnolia Hotel. We received valuable feedback on the progress of our collections and had the opportunity to have one of our looks photographed by the talented Daniel Muller. The official photo will be in the program. It was great to be able to test out my styling ideas for this collection with the talented beauty artists of Bungalow 8. I will be meeting with the Bungalow 8 crew a couple more times in the coming weeks to discuss and refine the styling for the actual show on March 23. Here is a peek at our behind-the-scenes...! 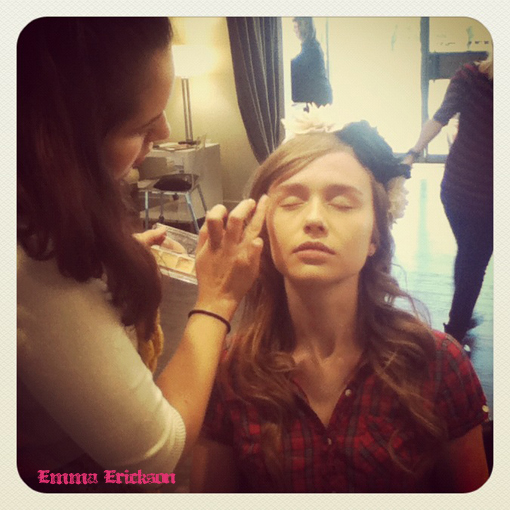 Audrey getting her makeup done by Stephanie of Bungalow 8. 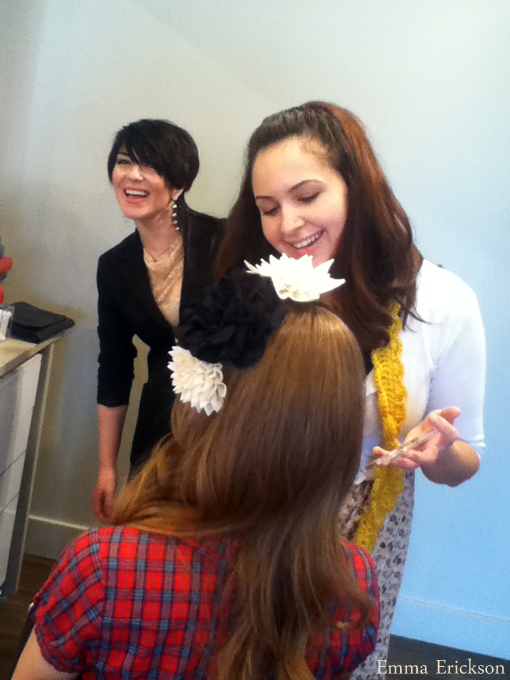 Hair stylist Sarah and makeup artist Stephanie of Bungalow 8. 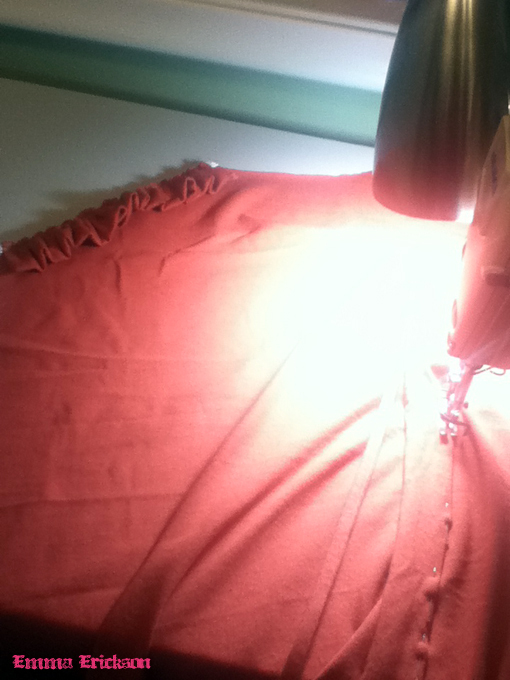 Testing drawstring on my sewing table. Audrey in fall/winter 2012 jersey top. Audrey in eco-friendly jersey top. Audrey in f/w 2012 bamboo/organic cotton jersey top. Audrey in f/w 2012 bamboo / organic cotton jersey top. 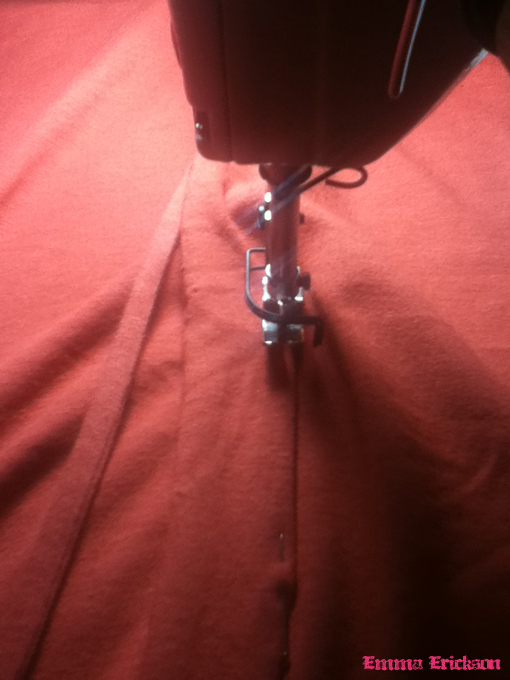 Gotta get back to sewing! Ahhh, I love-love-love that headband! 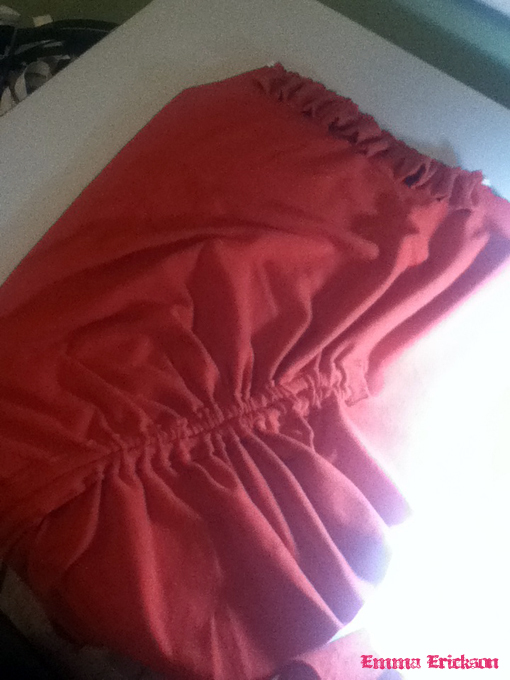 The top is beautiful too -so easy and feminine. I'm excited to see the custom pieces you're making for Laura. She told me a little about them yesterday and they sound rad. Thanxxx Sarah! You're the best, that is sweet of you!! I'm sooo excited to be working with Laura! I cannot wait to share what we are working on with everyone! So cute! And Audrey looks amazing! Thank you, Marlene! Audrey was amazing... such a natural--this was her first photo shoot! Looks like fun. Nice pics. Thank you, Lois! We had fun! The hard work pays off when I get to see the designs on real people! Ohhh, I love it all! !